Last Friday night the Mardyke Sports Campus on the banks of the River Lee, played host to the first leg of the annual Rebel Shield. The Rebel Shield an annual 2 legged series between the UCC Bombers and Leeside Lions. The series itself is mostly a baptisement of fire for the younger UCC Bombers, who mostly are playing in their first proper game of football. Despite the disadvantage of being less experienced than their opponents, it hadn’t stopped the Bombers from a clean sweep in the last 2 series. For the Lions it was a return to a ground, which has been kind to them in recent seasons. Notable victories over the North London Lions and as well as back-to-back ARFLI Premiership Final success. Due to the close ties between the two clubs, very little motivation is needed in either parties for this one. Friendships are parked to one side for an hour or so and intense competitive rivalry between the two sets of players takes to the fore. However, an extra twist to this year’s series was the addition of 7 CIT Saints players to the Lions ranks. Most notable Jack Hayes, Kevin O’ Regan and Paul Murphy all Fitzpatrick Cup winners with UCC last season. at a premium, as were clear scoring chances. Dom Joyce was causing problems in around the goal square and could have a big future with the Lions if he keeps at it. Crumbing Dom’s breaks constantly was last season’s Fitz Cup Top scorer Jack Hayes. With the Bombers remaining resilient the Lions felt they were heading to the first break without any major on the board, however a quick back to back set of goals seen the Lions finally put their dominance on the boards. The second quarter started just like the first with some fierce hits in the guts with CIT Saints players Shane O’Callaghan, Kevin O’ Regan and Shane Sweetnam beginning to look like they had been playing the game for years. Again, the Bombers began to show signs of clicking and understanding the game too. Some beautiful play from them seen them back in the game. Unfortunately, for them the O’Connell brothers and Kerry man Vincent Manning had seemed to discover their scoring boots at quarter time and were now growing into the game. As we headed for the second break the Lions were now leading 5-5 to 1-2. The championship quarter as the say in football circles is always the winning and losing of the game. 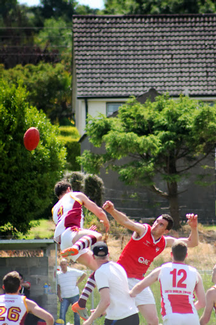 In recent years Rebel Shields the youthful fresher legs of the UCC Bombers tend to come to their own against the more experienced counterparts in Lions guernsey’s tend to fade a bit. Right from the start the increase in intensity from UCC was quite noticeable. With UCC chasing in packs, the lions were afforded less time on the ball to do as they pleased. With the injection of fresher and younger legs to Lions squad of late the 3rd quarter struggle of recent years was not as severe to the Lions this time. With the likes of Jerry Cronin, Dean Johnson bossing it in defence and Kevin Jones on the wing, the Lions weathered the storm and headed for the final break with a comprehensive lead. With the Lions Amsterdam bound again next spring for AFL Europe’s Champions League instalment lads were keen to impress in the final quarter to ensure a spot on the match day 16. This was noticeable straight away with the Lions out of the traps straight away. Conall Keane another of the CIT Saints debutants continued as he had started by giving a masterclass in the ruck, and again another man to keep an eye on going forward. Behind him to clean up any scrappy ball was the ever-reliable Conor O’ Halloran. We just hope the upcoming opening of a certain fast food establishment beside his house will not derail his preparations for Amsterdam. In defence UCC where well marshalled at all times by the returning Richard McSweeney and Paul Murphy. However, the moment of the match fell to Shane ‘Ducky’ O’ Riordan. Having marked the ball approx. 35 metres out to the left hand side of the goals, he dummied the man on the mark and banana kicked the ball whilst running towards the left hand side boundary, to the amazement and delight of his teammates and onlookers. A true once in a blue moon moment. So as the Lions may take a healthy lead into the second leg, they are under no impression that the tie is over. A different test will await come next spring, while the Bombers will be gunning for blood after the Fitzpatrick Cup and their new recruits will have improved no ends, topped off with the potential of a drier harder surface, the cards will be stacked in the younger men’s favour. The Lions and Bombers would also like to thank John Enright for umpiring Friday night and are fully appreciative of his time and support to this fixture. 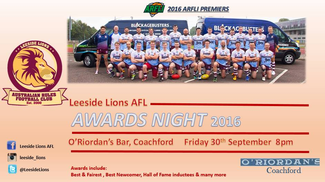 The Leeside Lions celebrated their 2016 ARFLI victory with their annual awards night on Friday last September 30th in O'Riordans Bar, Coachford. After an outstanding year, ending the season unbeaten, the Lions regained the John "Lock" O'Sullivan trophy for the first time since 2007. A great crowd turned up to celebrate the years achievements of the current premiers aswell as inducting three Lions legends into the Leeside Lions Hall of Fame. Brian O'Connell, Liam O'Connor and Feargal Killoury were recognised for their committment and performances for the Lions. A great night was had, our thanks go to one of our club sponsors O'Riordans Coachford for hosting us. 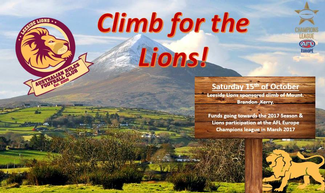 Our 2016 season isnt over yet, the Lions are fundraising for their trip to Amsterdam to compete in the AFL Europe Champions League by climbing Mount Brandon on Saturday October 15th next. If anyone wants to contribute to the fund we would be appreciative of any donation no matter big or small. 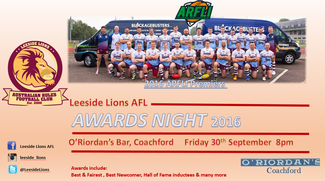 Leeside Lions end of year award's night will take place in O'Riordan's Bar Coachford on Friday 30th September 2016 kicking off around 8pm. 2016 was a brilliant year on the pitch, so let's relive the unbeaten season by re-watching our victorious grand final against the Belfast Redbacks on the night. Let's get a good crowd out to O'Riordan's to celebrate the 2016 season! Leeside Lions annual fundraising climb is taking place on 15th October, this years climb is Mount. Brandon. This is a vital fundraiser for the upcoming ARFLI Season, but most importantly funding to help the Lions go in search of European glory as they represent Ireland at the AFL Europe Champions League in Amsterdam in March. All donations no matter big or small will go a long way to a club that recieves no sports funding and is greatly appreciated. All Lions will have sponsorship cards so just get in touch with anyone of us if you can support us or you can lodge money into the Lions Club Account if you so wish. The culmination of the 2016 ARFLI Season took place on the 6th of August 2016. After an unprecedented “clean sweep” during the carnival games with 9 wins from 9, the Lions earned the advantage of hosting the 2016 finale after topping the ladder. Their opponents, the ever formidable Belfast Redbacks landed in Cork, fresh from their semi-final victories over the fancied Galway Magpies & South Dublin Swans. The Redbacks were taking part in their 5th consecutive ARFLI grand final as they ventured down the country and looking to bring the John “Lock” O’Sullivan trophy up North for the 3rd time during that period. After setting the standard throughout the league, travelling with strong squads to each carnival, playing a fast free flowing style of footy, the Lions were certainly the inform team coming into the final. All this counted for very little as the Redbacks had two tough encounters only 2 weeks previous, against the Pies and Swans and entered the fray a little more game hardened than the Lions, who had to wait over five weeks since their last competitive game. In ARFLI terms Grand Final home advantage guarantees very little based on the record books. The Belfast Redbacks found out the hard way in 2015 when they hosted the South Dublin Swans in the Grand Final losing by the slightest margins. A humid and dewy morning met everyone in Cork who rose on grand final day, light drizzle was never going to dampen the excitement and nervous anticipation of putting on a show for the crowd, many of whom it was their first experience of a live AFL game. The Mardyke Arena was the scene for the big dance, credit must go to all those involved with the Lions and UCC for organising such a pristine playing surface with accompanying boundaries, setting the scene for what was described as the most professional set up for an ARFLI game in quite a long time. 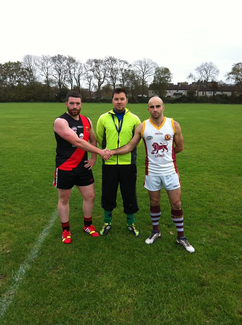 The Lions met for some Grand Final promotion with their main sponsor Tadgh O’Driscoll of Blockagebusters. The Lions can’t thank Tadgh enough for his generous support of the team over the last year which contributed towards training gear, rent for their playing fields and physio bills. Hopefully it’s a partnership that will continue into the future. Leanne Fogarty was physio on the day and was constantly busy put in a solid shift, especially with some of the older lads looking for a miraculous cure for the aging process, ultimately they had no luck with her magic touch they were at least ready for the battle that lay ahead. A mention goes to Matt Bell in particular who had a dry needling session, and was taped together so much it was like he had a fight with a stationary cupboard, it was testament to Leanne as it kept Matt in shape to go on and have a stormer of a game in the ruck. Captain for the day Padraic O’Connell organised his troops in the dressing room as he led the Lions onto the field of battle. Padraic was exemplary in his role, standing in for Dominic Joyce who unfortunately missed the final as he was getting married in Galway on the day. Dom’s cool and collected manner was missed but Padraic’s passion and determination certainly didn’t leave much to the imagination as every moving statement, increasing in decibels resounded around the concrete walls, bouncing around a packed dressing room with thirty strong playing panel. Day’s like these don’t come around very often, his leadership inspired the guys, with everyone focused on the one page this was one the Lions were certainly not going to lose! Both squads were almost at full strength and had everything in place for what ultimately was a great day for footy. The 3pm ball up was delayed by 20 minutes to allow the Redbacks sufficient warm up time as their bus was late to arrive at the ground adding to the eagerness and tension of the players to get things underway from the sound of the umpires Bryce Frasier & John Enright’s siren. The first quarter was a cagey affair overall, the Redbacks showing no ill effects of a long bus journey south to the nations “Real Capital”. The Lions started brightly from the ball up and after a couple of minutes it looked as if there wasn’t a contest that the Lions were going lose. Matt Bell rucking well against Ger Walls & Gareth Baird. Lions Aussie forward Matty Moore won his first battle of the day with his marker, a high tackle allowing the man from the land down under to slot home his first of the day. I’m sure even he couldn’t have imagined what his tally would be at the final siren. Vincent Manning, just off a plane the morning of the final took a mark from a perfectly drilled ball out of defence on the 40 and slotted through the posts for a 6 pointer. The game ebbed and flowed around the middle with the Lions winning the early battles and marking their territory, Mike Scanlan & Muiris Bartley in particular setting the tempo and that the game was to be played on the Lions terms. Moore again was too quick witted for his marker and with a nudge and a step he plucked the ball from the air 40 metres out straight in front of the posts, again the result was never in doubt as the crowd of 100 or so cheered the resulting success of the kick. It was not all plain sailing for the Lions as the Redbacks began to get into their groove as the quarter wore on, the ever elusive Ryan McCloskey and Johnny Duffin both taking marks inside 25 metres and slotting them through to close the gap on the Lions. End of quarter 1 it was certainly game on, as for all the positive play the Lions had they only lead by 3. The long trip down south must have inhibited the Redbacks at the beginning of the first quarter but they showed no ill effects as they were the first out of the blocks on the start of the second. A quick goal from the restart by experienced Irish Warrior Gerard Walls put the pressure on the Lions. The ferocious battle continued around the middle with Matt Bell dominating in the ruck, even though he was carrying what seemed to be an inhibiting thigh injury. Mike Scanlon and Ian O’Sullivan were ferocious with their tackles and cool with their distribution when it mattered. Colin O’Lordain, Eoin O’Sullivan and Conor O’Halloran patrolled the middle linking between defence and offence and ultimately taming the contribution of Redbacks key mids Davy McElhone, Stuart McKeating. Step right up to what should be better known as the Matty Moore show, Moore added three well taken goals to his haul of two from the first quarter. Two kicks from a mark and a free kick followed by one at from open play raised the Lions spirits to finish the quarter strongly. The man was possessed, no Redback could control him. Captain Padraic O’Connell rounded off the quarter with a well taken goal, known for his jinking mazing runs and his cute eye for goal, it’s clear to see how important he has become in the Irish Warriors set up as one of their key forwards. Sound in defence with the excellent Luke Hickey, Cian Quigley, Oisin Collins and Paul Murphy holding the Redbacks forwards at bay, accurate direct forward play meant the Lions had pushed their lead out to 22 points at the end of the quarter. Championship quarter resumed with the Redbacks needing to get off to another good start to stand with any chance of a recovery. Redbacks like the second quarter started brightly with Paul Brogan knocking through a 20 metre free after being deemed to be pushed by one of the Lions defenders. Soon after the Belfast Redbacks players faced a self-inflicted uphill battle, a yellow card was issued to a Redbacks player which resulted in a 10 minute sin bin for dissent but things were to get worse for the men from the north, as another Redbacks player confronted the match umpire and received his marching orders for an incident involving them both. This act of immaturity certainly was a talking point among the crowd, especially the first timers. Although down to 12 men the Redbacks used the dismissal as inspiration to score the next goal through John McNabb, who was having a solid outing. Padraic O’Connell was quick to cancel this out with a well-timed run, mark and kick. The end of the quarter was all Leeside Lions, Vince Manning with his second and Conor O’Halloran like a steam train burst through a wall of Belfast men and beautiful snapshot on the left result with a loud roar from the Lions supporters to increase the leading margin to 19 points. The Lions defence could be criticised at times for being a little eager in their efforts to tackle, all good qualities but on Grand Final day you have to be extra careful. John McNabb was fouled on the 40 and resulted in a fine kick to reduce the margin. While their pits were put against their collar at many times during the game the Lions never let their heads down and more importantly kept the scoreboard ticking. The quarter finished with a flourish, the accuracy of Matty Moore , Vince Manning and Muris Bartley after each taking beautiful marks had the composure to goal and to twist the knife in the already weaning Redbacks. Lions lead by 29 points at the end of the third. The Lions could smell blood at the beginning of the final quarter and victory was in sight, a squad of 30 fit players proved to be the final nail on the coffin as fresh legs each skilled with their own attributes for the game were readily available at all times. With the rebel men (now encompassing honouree Cork men who really hail from Kerry, Limerick, Tipperary, Oz as one of their own) exerting their dominance on the game scoring the first three goals of the quarter. First Dan O’Connell brother of Captain Padraic O’Connell and former AFL Europe player of the week scored after being awarded a free kick. At this stage, it was nothing short of champagne footy, the Lions backs as tenacious as the first minute, clearing any danger of Redbacks attack bar a solitary major over the quarter. Vince Manning then got his fourth goal of the game soon followed by a goal from his cousin “the bulldog” Mike Scanlon who was outstanding from start to finish. As the game entered its closing stages it was fitting that the days “Best on Ground” slot the last major of the day. Matty Moore scored his seventh goal of the game from 10 metres out. Not long after, euphoria and relief rejoiced around the home of saints and scholars on Leeside as the final siren went. Nine years of hurt vanished in an instance, watched on by former Lions, the club felt like an actual club for the first time in a long time. A team effort from day one in Bushy Park with a new squad finding their feet with a comprehensive victory over the South Dublin Swans. The team grew with the game and consistency with training numbers and game numbers certainly contributed to this. Back to Leeside, not far from where famous mathematician George Boole lived on the Mardyke Walk, we saw a mathematician of our own , maybe more like magician by the name of Matty Moore who’s 7-2 for the day was as vital a number as any composed by the inventor of modern algebra. So with that the Lions celebrated their first flag since 2007 and what was only a first grand final appearance since 2011. The crowd that gathered made their way on to the field of play to congratulate the worthy winners. Padraic O’Connell and Chris O’Brien made their way up to receive the John “Lock” O’Sullivan trophy from ARFLI president Paul Brogan, relief and euphoria rung around the ancient walls of the Mardyke walk as John “Lock” was coming back to Leeside for the first time since 2009. An unprecedented 100% win rate this season has meant the Lions have gone into the ARFLI record books as being the first team to achieve this. The emphasis and efforts put in to the University breeding ground by Eoin O’Sullivan and Lions coach Chris O’Brien reaped huge benefits this year, it provided the Lions with an enthusiastic, energetic Lions squad which faced competition for places for the first time in years. Players like Paul Murphy, Luke Hickey, Rory O’Donnell picked up a Sherrin for the first time this year and ended with a league medal and a place in the Irish Warriors squad for the European Championships in London. Next up for the Lions is the Champions League tournament in Amsterdam in March 2017. Each country’s flag winners are invited to participate in a one day 9 a side tournament to determine who the best club team in Europe is. It’s a sign of the significant strides that the club has taken in the last 12 months or so that there will be intense competition for places in the playing squad for the tournament. Regardless of what goes on, on the field, a positive club mentality has been fostered this year and with the right amount of experience and plenty of youth on their side this could be the start of something special for this group of Lions and cubs. As a club we would like to thank our main sponsors for the year Blockagebusters Ltd. BlockageBusters Ltd are an established Drain & sewer specialist company based in Cork. They specialize in drain cleaning, CCTV drain surveys & drain tracing, repairing & lining. For more information, check out their website on www.blockagebusters.ie or contact them directly on 0872140342 or info@blockagebusters.ie for all your drain and sewer needs! We’d also like to thank O’Riordan’s Bar, Coachford and The Ovens Bar Oliver Plunkett St. for coming on board with us this year and looking after us after games. 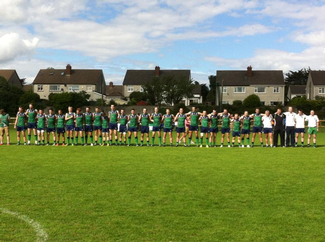 If you're thinking about playing AFL here in Ireland then just do it, one of the best games you will ever play. At the Leeside Lions you will be coached the basic skills and you're part of this unique sporting culture the minute you show that you want to learn and improve. We're looking for athletic players from any sporting background. Small or tall it doesn't really matter as there is a position for all body types. There are games played every second Saturday and training every Wednesday night with some team bonding sessions also. Get in touch through Leeside Lions on facebook or call the coaches for more details. If you know any Australians who look manly or from the 80's tell 'em to come down and show us what they got!! The Lions held their annual AGM recently and have put in place a plan to make this season one of the best so far. A fine balance of mature experienced players and the youthful enthusiasm of our new recruits should stand to us long into the summer months. Training will offically be starting this week even though most of the squad were keeping fit with with the UCC Bombers over in Curaheen all winter. Fitness levels should be at an all time high this year as many players took on winter programs while enjoying team bonding sessions to keep spirits up. Things to look out for will be the Lions Table Quiz held in the Ovens bar every year, good questions and great prizes so make it there and have some fun. We're always looking for sponsorship to help us on the road and would like to thank our current sponsors and supporters for all their help, we hope to make you all proud. 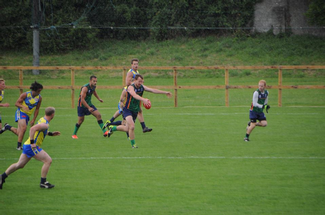 Last Saturday the Lions clashed with the Galway Magpies in our last home game of the regular season. This fixture was played in the background of players from both sides being in Australia with the national team playing in the International Cup. The Lions assembled what was probably the strongest squad to date this year welcoming a few debutants as well as a few old hands back into the fold. The Lions started strongly with Shane Thomas, Aussie, Sully and Coilin Lordan controlling the centre area of the field and providing a study flow of accurate ball into the half and full forward lines. Padraig O’Connell showed very well throughout the opening quarter and his efforts were rewarded with 2 very well taken goals. Jason “Hingo” Hingston who by his own accounts is having a fine season also claimed 2 goals in the opening quarter. Quarter time saw the Lions ahead 4-3 (27) to 0-0. The Magpies started to come into the game from the bounce in the second quarter. The half back line in particular came under a lot of pressure but was well marshalled at centre back by Denis Maher assisted by a combination of Joe “lashes” Maguire, Dave Mc and John Daly. With the game starting to get quite scrappy towards the middle of the quarter Coilin lit things up with a massive kick from 45/50 that split the centre posts. The game was played with 2 wide wingers on either side of the midfield with Squirrely and Richard Mc filling those roles for the majority of the day from the Lions. Both had very solid games in those roles with Richard Mc ball disposal being a particular highlight. Squirrely notched a second goal for the lions in the run into half time. At the siren the Lions led 6-7 (43) to 1-2 (8). The third quarter saw a restructuring in the Lions line up with big Shane and Deane sent into the forward line and El Presidente heading into the ruck. The quarter started brightly with accurate kicking in the direction of Shane allowing Deane to crumb and claim 2 quality goals for himself. The Magpies then enjoyed a period of extended control causing quite an amount of trouble in the Lions defence. Slack marking and poor communication allowed the Magpies in for 2 goals and took away the Lions momentum. The quarter finished with squirrely picking up another goal following controlled played down the wings. The end of the third quarter saw the Lions ahead 9-8 (62) to 3-5 (23). The 20 minute quarters were taking their toll on both teams and the fourth quarter was played out without any one team establishing a period of significant superiority. Sully added one goal for Lions to match the one put on the board by the Magpies. The game ended 10-10 (70) to 4-8 (32). Thanks to Quiggs for acting as umpire. While by no means a classic the game was significant in that a number of newer players gained a lot of game time which can only help in there development. Bear, Chris and Mark O’Brien were committed throughout in the full back line, the full and halfback lines performance was solid in the main but work remains to be done on the kick outs and tagging when under pressure. The centre drove most of the play for the day with Shane and Coilin in particular having very strong performances, Dean showed well when in the centre and is a committed tackler, Padraig, Oisin and Ryan had very solid roles in the wing / half forward lines, John Gleeson got a good introduction to the game around the centre and wing, Vince led the line well in the forwards and what is rare for him didn’t return a major score. The result confirms finals footy for the Lions. Focus now shifts to preparing for our last regular season game vs. the Demons and finishing as high as possible in the table. The Irish Warriors lost out to Papua New Guinea by 3 points in the International Cup Final in the MCG yesterday morning. Three Lions played in the final, Dominic Joyce in the ruck, Muiris Bartley in the centre and Conor O'Halloran in the backs. 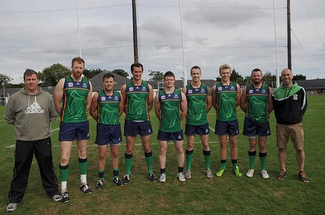 Padraig Lucey who started out with our sister club in UCC but is now based in Oz also played. All 4 lads featured prominently at various stages of the game. The Warriors started well and at one point in the first quarter had a 12 point lead. PNG slowly began to pull the Irish back and went ahead by 9 points with 4 minutes to go in the game. Despite a late Irish goal there were no late heroics similar to the 2012 & 2013 Euro Championships . The Lions have a proud history of providing players to the National squad and the 3 lads have continued on that tradition. The Warriors now commence a new cycle of development towards the 2017 International Cup and I've no doubt the Lions players will featured prominently throughout that cycle. Saturday 2nd August lads! Keep that date in your diary. 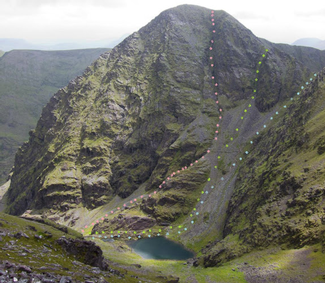 The Lions are doing a sponsored climb of Carrauntoohil rain, hail or shine! This will be a fun day out and a great way for us to get a few euros into the club to pay our bills. Sponsor cards will be given out soon. Everyone is expected to get minimum of fifty euro in sponsorship. It's simple so no excuses. Also, anyone and everyone is invited to come along too so bring friends & family. Both teams showed up with some key players missing today's fixture. The big difference between the sides was that the Lions had just enough to field a team. While the Swans were well stacked as per usual in Bushy Park and it was very nice of them to give us a player to even up the playing numbers. The Lions began the game in much better fashion than the Swans who were a little slow to come out of the blocks. At the third quarter break the Swans were 2 points behind the Lions (64-66). A big shock was on the cards if players like Bartley, O' Sullivan and O' Halloran could keep the Swans at arms length from wrestling away the points on offer which would be crucial towards a home semi final. An unfortunate head injury to Jason Hingston meant that the Lions were down a man just after play resumed. Hingston had played very well up until this moment and was a huge loss as a target inside 50. Within minutes the Swans who had organised their midfield much better were winning all the clearances and using the extra men to take some good scores. You could see that the Lions were out on their feet at this stage. The defence had soaked up so much pressure all game but couldn't stop the Swans from breaking the 100 points. In the end both teams knew it was much closer than the scoreline suggested and the Lions will take lots of positives away from today's defeat. It was good to see the young players taking to the game so well in their first season and making sure that the Lions kept going until the end. 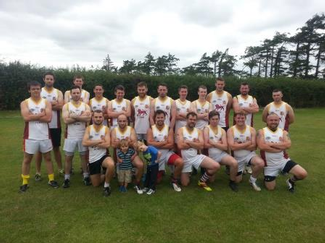 Next game sees the Lions take on the flying high Magpies at Gleann na Laoi, 16th of August. The 2014 fixtures have been set. First game on the 26th of April at home against the Giants. Check out all the fixtures on the Fixtures page. Be sure to subscribe so they appear on your calendar. 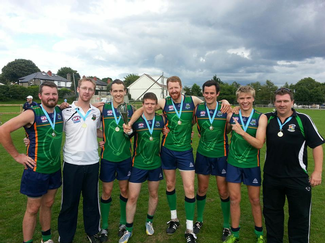 Muiris Bartley gets to make another trip Down Under, but this time with the Irish Warriors. Following his successful tour with the World Team in 2011 he now gets the chance to become one of Irelands youngest players at the International Cup. Bartley likes throw 5 or 6 steaks on the grill during every game and is sure to make a big impression with the quality of players he will be surrounded by, could easily be the tournaments top scorer. We're all very proud of Muiris and will be cheering him on as he represents us in Melbourne with the opportunity to run out onto the MCG like Captain Cian Quigley and Eoin O Suilleabhain in 2011. At 20 years of age Muiris can look forward to at least 4 more trips to the International Cup. Conor O Halloran has become one of the most dedicated players in the Lions setup and its no wonder hes the first name the Irish management would put on the list. He will add real steel to the centre, taking it right off the bone before the opposition knows what hit them. Following a fantastic European Cup in 2013 where he was named on Team of the Tournament, O Halloran is all guns blazing for the chance to show what he can do on the Victorian ovals. A huge congratulations from all at the Lions to Domnic Joyce on his selection for the International Cup. This will be the 3rd tournament where Joyce represents Ireland. After an outstanding showing during the European Cup in Dublin he went on to Bordeaux and capped it off with a place on the Team of the Axios Euro 9's Tournament. What Woody brings to the party along with his obvious height, is that he can run hard and mix it up with very intelligent use of the ball at clearances and open play. We will have a huge void to fill here at the Lions as Domnic heads to Australia in a few days and will get to play some country football in preparation for the IC14. 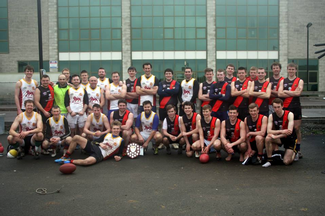 Australian Rules Football in Cork got another boost following the Inaugural Rebel Shield Game. The Leeside Lions played very well and emerged victorious against an energetic Bombers side who are a match for all teams in the ARFLI Premiership League. Experience was key today as the Lions were first to take some meat off the bone and get some scores on the board thanks to Vicent Manning and Company. UCC Bombers didn't let this distract them and kept up a high pressing game making sure every ball was contested. Once the Bombers got some points after some good kicking by their forwards the game was really in the melting pot and could have gone either way. Connor O Halloran used his strong body to dictate the play and made sure the Lions kept a healthy goal difference between the teams. Controversially Muiris Bartley opted to tog out for the Lions on the day turning his back on his alma mater and kicking 5 goals in the process which was the difference between both teams on the scoreboard at the final siren. (The Lions were obviously delighted with Muiris) One thing is for sure the gap between both teams is narrowing and who knows the Bombers could be third time lucky at the next outing. A big thanks to UCC Bombers for hosting the Rebel Shield at The Farm, Curraheen and to Ian O Sullivan who did a great job umpiring this exciting fixture. 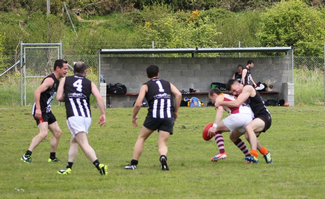 Eleanor Lawless took some quality photos and really captured the atmosphere on the day which was a celebration of the marvellous work Eoin O Suilleabhain has done training the UCC Bombers all winter when playing Aussie Rules is at its hardest. The UCC management team can be very proud of what they have achieved so far. Team sponsorship is one of the universal truths when it comes to both professional and semi-professional sports. Even amateur clubs sometimes have their own sponsors. What exactly is a sponsorship deal, though, and why do companies go into it? In November alone, six AFL teams made the news due to new sponsorship deals and extensions to existing ones. Among the longest sponsorship deals in the league is the one between Korean carmaker Hyundai and Carlton FC, which was originally forged in 19995. With the recent extension, Hyundai will be Carlton FC’s major sponsor until 2017. Why do companies place such a premium on sports sponsorships, anyway? Is there really a point to these million-dollar deals? Yes there is, and it’s a rather lucrative one at that. 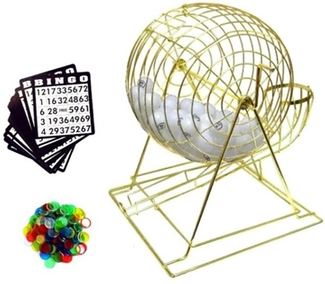 These connections are what sponsors are going after. They can mean renewed interest in a product as well as increased sales. Just ask Mazda Australia, who also recently extended its partnership with the North Melbourne Kangaroos. “When Mazda started its relationship with North Melbourne we were selling 27,000 cars a year and ranked just inside the top ten selling car brands, now sales have almost quadrupled,” said the company’s marketing director Alastair Doak. The banners of auto manufacturers and airlines are common sights in most major sporting events, but cars and planes aren’t the only things sponsors are offering. Since its market is primarily online, Manchester United sponsor Bwin.com has leveraged its online presence to offer value to its sponsored teams. These sponsorship deals also make a strong impact on professional sports as a whole by bringing in more money. In North America, for example, research firm PricewaterhouseCoopers estimates that by 2017, media rights and sponsorships will propel the growth of the sports market to a staggering $68 billion. While all those big numbers are out of reach of your average amateur team, sponsorships – no matter how big or small they are – may also make the difference between life and death for a small sports club. The key, however, is not to rush into it. The Funding Centre website has a few useful guidelines and tips on how to approach it. Check it out, take it to heart, and you may end up helping keep your club afloat. 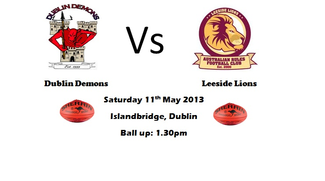 The Leeside Lions came out of hibernation to take on a youthful and well trained Bombers team this Saturday. In perfect conditions for football the game was played at great pace and the experienced Lions had their work cut out for them as the Bombers had a full squad and really wanted to test themselves against a good team. Each quarter saw some amazing fielding and link up play but it was the running ability of the Bombers which stood out as they chased everything and put pressure on when it counted. The fourth quarter was where the game really came down to the wire with the Lions defending a narrow lead the Bombers threw everything forward and blitzed with a fantastic forward press. In the nick of time the siren sounded and for sure the Lions used one of their nine lives to get out of this one with a win as it could have easily been the Bombers singing their song. Its great credit to the UCC Bombers who have come so far in such a short space of time and we are certain that they will only keep on developing. There are whispers of playing for the Rebel Shield in February so lets hope this comes to pass and another exciting game is in store for the Lions against the Mighty Bombers. 4 Diarmuid O'Sullivan, 2 Danny O'Brien, Cormac McDonagh, 1 David Higgins, Mike O'Riordan. 4 Troy Newton, 3 Vincent Manning, Conor O'Halloran, 1 Alan Lane, Ian O'Sullivan. Huge congratulations must be given to the achievements of University College Cork who have won the Fitzpatrick Cup in what has to be one of the great Australian Rules stories. Every effort has been made by Leeside Lions Clubman of the year Danny O Brien and Coach Eoin Ó Suilleabháin to ensure that as many players as possible can play the game here in Cork. It is clear that the football program in place is working and players feel comfortable learning the oval ball game and can only be good for ARFLI to ensure we have new talent and more competitive games. The groundwork was put in last year no doubt and we can see the fruits of their labour with outstanding numbers at training. During the International Rules series UCC won the inaugural Fitzpatrick Cup in great style having one of the strongest teams on the day, they defeated Oxford University in the final who had a large number of Australian players on their list. The Lions recently held their annual awards night. Congrats to all winners and to the organisers on the night in particular Paul Ryan and Danny O'Brien. Leading goal (and behind) kicker - Vincent Manning. Best new player - Diarmuid 'Teddy Bear' de Barra. Clubman of the Year - Danny O'Brien. Most Improved - Dominic Joyce. 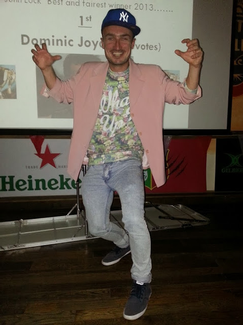 'John Locke' Best and Fairest 2013 - Dominic Joyce. Most ridiculously good-looking and stylish - Michael 'Gonzo' Scanlon. Picture can be seen to the left!! Also on the night 3 'former' Lions players were inducted into the Leeside Lions Hall of Fame. These is a symbolic thank you from all the current players at the club for all the effort put in, past and present, to bring the club to where it is. Hall of fame inductees - John Hayes, Brian Currane and Diurmuid Griffin. 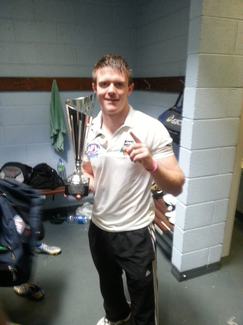 Congrats to Lions man Dominic Joyce who was named on the Team of the Tournament for the 9s Axios Euro Cup recently held in Bordeaux. 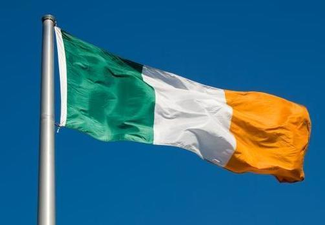 Irish Warriors competed in the fourth annual Axios Euro Cup held at Stade de Gajacin Bordeaux this weekend, the highlight of the year for the 21 Member nations. 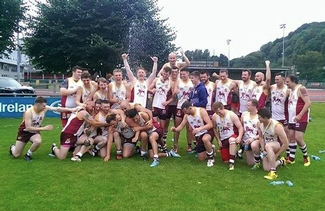 The tournament featured the most talented men and women from across Europe playing the fast paced, athletic game of Australian football (AFL), and Ireland finished 5th in Division 2. Held in a different country each year, this was the first time that France had played host, with previous tournaments held in Edinburgh (2012), Belfast (2011) and Milan (2010). “The Axios Euro Cup is growing, and to come to a beautiful city like Bordeaux and enjoy such a professionally run event by a team of dedicated volunteers is fantastic. England Dragonslayers won the 2013 Axios Euro Cup, defeating host nation France Les Coqs in a hard fought contest that the English proved their class becoming champions with a 92-15 victory. The day had taken it’s toll on the hosts who weren’t at their best in the final but had played outstandingly to make the final having been the 5th randked team. The Women’s competition was won by the European Crusaders made up of players from Switzerland, Iceland, Bolivia, Italy, America, England and France 45-26 over the French national team who came together for their first international match. In Division 2, Ireland played Finland to take out the euro Bowl and in the Third Division, Austria defeated the Crusaders for the Euro Plate. 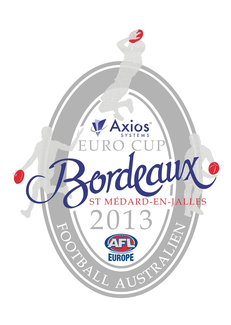 Australian Football is gaining momentum in Europe with over 5,000 participants from 21 countries. The players in the Cup are natives of their own countries who have come to love AFL and feel a deep connection to the game. The game combines athletic high ‘marks’, tackles, handballs and kicks and is played at a very fast pace. The nature of the game makes it incredibly inclusive as there is no one perfect body shape or size and the combination of hand and foot skills makes it a unique sport appealing to people all across Europe. 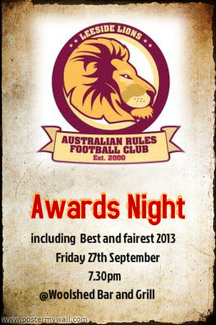 Our annual awards night will take place on 27th September 2013 at the Woolshed Baa&Grill @ 7.30pm. There will be a number of awards on the night with the big one being the presentation of the "John Lock" Perpetual Shield to the 2013 Best and Fairest winner. All will be unveiled on the night so get down for a great night of fun and recognition of our 2013 season. The game combines athletic high ‘marks’, tackles, handballs and kicks and is played at a very fast pace. The nature of the game makes it incredibly inclusive as there is no one perfect body shape or size and the combination of hand and foot skills makes it a unique sportappealing to people all across Europe. Finals footy promised so much but the Lions failed to deliver against a fine South Dublin Swans team who travelled to Cork. The Lions were well up for this game and stole a march on the Swans in very wet conditions during the first half in a very low scoring game. However with all the possession we had our scoring did not reflect this as we had 9 behinds at half time which would come back to haunt us. In the third quarter the Swans flew out of the blocks and scored 3 goals which put them into a 3 point lead and pushed on from there in the final quarter to win by 17 points. Swans took their chances and played the better football once the rain stopped and made sure the bigger bodies came out on top. There were terrific contests all over the field and every Lion put in a good shift but the momentum swung and we could not turn the tide when it counted. This was a great season and with all the work that was put in we deserved a Grand Final. Massive thanks to all our boys and to Paul Junior Ryan who put in place a fantastic structure throughout the season. Best of Luck to the Swans who will now go on to face the Belfast Redbacks in the Grand Final, it will prove to be a great contest and set the benchmark for next season. We will come back stronger from this and hopefully bring the John Locke Cup South once again in 2014. We experienced a tough away day defeat to the Magpies in Galway on Saturday last. In what was always going to be a tough game the Magpies were incentivised by the knowledge that a defeat could end their finals aspirations. The Lions fought tirelessly throughout and were unluckly not to get the breaks at key stages. But ultimately it was a 6 goal third quarter which sneaked the Pies over the line by 2 goals and boosted their finals hopes. The club would like to give honourable mentions to first gamer Dan "Rails" Curtain who applied himself very well throughout and also to P.J O'Brien who made his return from a long term injury. Well done to all who travelled to Galway and to the Magpies for their hospitality after the game! The Lions are back in action again next weekend against the Belfast Redbacks which should be another tough encounter between the top 2 teams in Durrow. Training is on Wednesday @7pm lets get back on track Lions!! Its one of the best moments for anyone to represent their country at an International event. Once you become a Warrior you join a group of players who come together with the sole aim of trying their best and making sure that they stand up and be counted. Congratulations to Domnic Joyce, Eoin O Suilleabhain, Muiris Bartley, Brian O Connell, Brian Roche, Connor O Halloran, Vincent Manning and Paul Ryan as Team Manager. In what is shaping as the biggest Euro 9s Cup in history with the addition of new sponsor Axios we hope you will all be ready for September 21st in Bordeaux. The local organising committee from the Bordeaux Bomber club has been hard at work ensuring that a memorable competition will take place as 16 squads will travel from all over Europe. We are sure that a strong Lions representation will be on this Ireland team. The 9 aside game consists of a 16 man squad and played at a very fast pace which allows some of the more creative players to really show their skills as there is a little more space. Irish teams have won the last 2 tournaments and I'm certain the rest of Europe will be hoping to change this. Lets get behind the team and show our support again!! Ireland has won the 2013 AFL Europe Championship by kicking a goal with the last kick of the game to beat Great Britain by a point. In a tight contest throughout the last quarter, Great Britain seemed to have it won before Mark Leavy kicked a snap goal to put Ireland in front, seconds before the final siren sounded. Heroes for the Irish included late goal kicker Bobby Byrne and Kevin McSorley in defence who was pivotal in keeping Ireland within striking distance throughout the last quarter. It was a heart breaking finale for the Great British team who went so close to winning their first major international trophy. Man of the match was GB captain Ian Mitchell who was tireless on the ball and across half back for the Bulldogs, yet unable to drag his team across the line. Sam Boyd, David Saunders and Ollie Dilieto were also strong contributors to a team that had glory snatched from them at the very end. In a hard and bruising match, John O’Regan was subdued after a heavy collision with Britain’s Chris James in the second quarter. The Irish captain had been dominating the match up to that point and it looked like that moment might have swung the match in favour of the Bulldogs. However it inspired a greater effort from the Irish team and players James Flavin, Ger Walls and Tom Browne started winning more of the ball. The last quarter saw the lead change a number of times and when GB’s Luke Booth kicked a goal to put his team up by 5 points close to the end, it looked like it would be a fairy tale win for the visitors. With only seconds on the clock the ball swept down to the Irish forward line where it bounced off the hands of the pack and into the arms of the unlikely Irish defender Mark Leavy who snapped the goal and sent the Irish crowd into a frenzy as the final siren sounded. The Irish warriors were victorious against the British Bulldogs and made history by retaining the European Cup once again. In what was a thrilling final there was never more than a score between both teams throughout. It came right down to the wire as the British were in the lead and with one hand on the cup in the dying moments. The ball broke to Giants player Mark Leavy who kicked through the winning goal to wrestle back the championship and as British players fell to there knees with the final siren the Irish Warriors were up in the air celebrating. You will never beat the Irish was to be heard all over DCU from the huge crowd. Lions players again played a massive part and with Brian Roche and Conor O Halloran gaining huge recognition on the team of the tournament its massive credit for the work these players have put in during the year. Paul Junior Ryan and Brian Currane were instrumental in the Irish success along with Cian Quigley who made sure that this festival of football was enjoyed by all. Looking forward to more highlights like these coming from the Euro Cup in Bordeaux in September where the best 9 aside teams will play in a 16 team tournament. Excitement is building from tonight onwards as the Warriors recorded a massive win against a strong Croatian team. Lions players played a massive part in this game with Brian O Connell scoring 3, Domnic Joyce scoring 2 and Manning along with O Halloran and Roche scoring fine goals each. Muiris Bartley already a household name was best on ground and really gave the Croatians some problems with his high tempo and strong drive. In fact its clear to see that all players have joined together from Irelands top clubs to form a solid group who are intent on winning the Euro Cup. Paul Junior Ryan and Shaun McElhone have to be very pleased that their planning and preparation with the help of their selectors is coming to fruition. The Warriors reached their nadir against the Danes but are now on the right track to take on the British Bulldogs and retain the trophy. Denmark have finally broken through for their first win of the tournament by easily accounting for Germany in the opening match of round 3 in the 2013 AFL Europe Championship. Having been narrowly beaten in their first two games, the classy Danes were leaving nothing to chance in this encounter and came out strong from the opening siren. Led superbly by William Andersen, Mikkel Kjoge and Chris Campion in their midfield, Denmark were winning the majority of ball ups and were able to enter their forward 50 metre zone time and time again. Denmark’s full forward Mikkel Norlander had his best game of the championship and kicked 4 goals in a dominant display. Rene Toft Palsgaard, Christian Mau Rose and Troels Ottesen were great contributors for the Danish defence and managed to move the ball swiftly into attack whenever they were challenged. For the Germans, who have been rocked by injuries this tournament, there were some brave performances from Fabian Cordts and Johannes Sartory in their backline and Matthiass Klusemann who made the most of his opportunities by kicking two goals. Jakob Jung and Matthias Oeser were also gallant in the midfield but ultimately no match for the classy and well drilled Danes who ran our eventual winners 60 to 13. 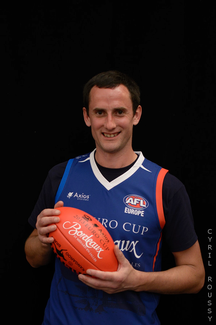 Great Britain has won their way into the 2013 AFL Europe Championship Grand Final next Saturday with a comfortable 40 – 20 win over Sweden in their round 3 clash. Great Britain got out to an early lead with goals to David Saunders and Sam Willatt and were able to keep Sweden goalless in the first quarter. They stretched that lead in the 2nd quarter before breaking the game open in the 3rd quarter. The battle of the midfields was a tightly contested affair for most of the match. Sweden’s Emil Aberg and Johan Lantz saw plenty of the football and were using it well to set up attacks. For Great Britain Sean Walton and Alastair McKinnell were busy and creative. The difference between the two teams in the end was the effectiveness of the GB forward line who made the most of their opportunities and had dangerous targets in Chris James, Saunders and Willatt. The GB defence was also well served by Mark Ireland, David Gamble and Paul Harris. Sweden was well served by their excitement machine in Natis Johannson who kicked another amazing goal to add to his tournament highlights. Eric Sahlin and Joel Sprang also looked dangerous when the ball was in their vicinity but weren’t able to shrug the strong British defence for long enough. Great Britain now head into the Grand Final on Saturday with their confidence sky high and will look to win their first ever AFL International silverware. The match promises to be a great spectacle, especially if they end up playing their great rival Ireland. 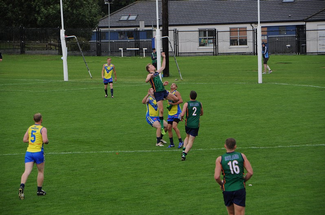 Ireland will meet old foes Great Britain in the Grand Final of the 2013 AFL Europe Championship after easily accounting for Croatia in the last round of the group stages at the DCU Sportsground in Dublin 83 – 7. Ireland led from the first goal of the match and were rarely challenged by an unusually subdued Croatian team. It was meant to be a battle of the two most physical teams in the tournament but Ireland’s swift ball movement and skilful kicking never allowed their opposition to turn it into a tight tussle. For Ireland, Captain John O’Regan was again tireless in his running and effective with his ball use. When the game was there to be won, it was Brian Roche at centre half forward who provided the focal point of the Irish attack where he was well supported by Ryan McCloskey and Brian O’Connell. There were eight goal kickers for the Irish in what was easily their highest score of the tournament. Ireland have now won all three of their games for the tournament, as have Great Britain, who earlier in the day were far too strong for Sweden and sit undefeated at the top of Group B. It will be an intriguing Grand Final, with Great Britain have nothing to lose having come into this tournament as underdogs against an Ireland team who will have to deal with the expectation of favouritism and the home crowd. The challenge for Ireland will be in stopping Great Britain’s forward trio of Chris James, Sam Willatt and David Saunders who have dominated every defence they’ve played so far. Great Britain will be spending the next two days contemplating how to shut down the influence of key play makers O’Regan, James Flavin and Paul O’Halloran. The Grand Final starts at 5pm this Saturday at the DCU Sportsground in Dublin. Sweden will play Denmark beforehand at 3pm and Germany will play Croatia in the curtain-raiser at 1pm. The Lions have had a huge part to play so far in the first two games of the Euro Cup in Dublin. Here is a picture of them as they prepare to play in the first game against Sweden. They have made our club proud with their fine performances ensuring that the Lions keep up the strong tradition of being the backbone of all successful Warrior teams. 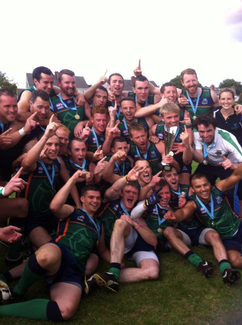 The Irish Warriors are right now on their way to play in Saturdays Grand Final against the olde enemy Great Britain. Before this they must play a tough Croatian team who are looking to make it into the playoff positions also. So far the Warriors have had a really tough opener against Sweden where there was huge pressure put on them throughout this low scoring game. In the end the Warriors pulled through thanks to goals from Vincent Manning and a wonder goal by Brian Stretch O Connell. Connor O Halloran was best on ground and has really cemented his place on the team already with the type of quality football he has been playing all season. Round 2 saw the Warriors play a terrific Danish Vikings team who are full of a host of European stars that have come through their underage structures in the past few years. It was no surprise that the Danish were in full control of this game for 3 quarters as their skills and use of the ball was very clever. However they could not do enough to pull away from the Warriors who fought back from 4 goals down in the last quarter to win by 10 points thanks to the heroics of former Lion James Flavin and 2 goals in the last few minutes by Brian Roche that really were top drawer in terms of quality. The Lions have had a huge part to play and really are on form, lets hope they go all the way and not leave the European Cup go across the water!! Match of the European Cup so far!! 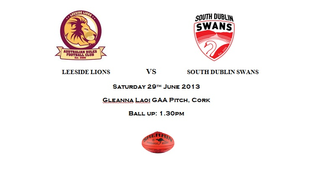 Round 9 sees the Lions heading across the Shannon to play a fine Magpies team who are improving all season. This will prove to be the tie of the round and will come right after the European Championships held in DCU this August. You are guaranteed some entertaining football between the Lions and Magpies at all times and should be a good test for both sets of players in preparation for finals footy. The Lions came away with four points after we entertained the Magpies at Gleann na Laoi and they will be sure to make up for that with some huge pressure from the first bounce. Players to watch out for on the Magpies team will be Western Australian small forward Shaun Murphy who kicks goals from all areas along with John O Regan who is one of the best known ARFLI players in the league. Following this game we as a team plan to spend the night in Galway and have a barbeque with the Magpies along with a few beers and talk about the game of course, some of those kicks will be getting an extra 20 yards in the Skeff no doubt. Paul 'Junior' Ryan will be in contact as we need to sort out accommodation etc. so make sure you're free on Saturday the 17th of August as it will be a great footy trip. The Lions are very proud to be sending its best players to the European Championships to be held at the DCU sports ground in Dublin. In all you will have seven players who are Brian O Connell, Vincent Manning, Eoin O Suilleabhain, Brian Roche, Muiris Bartley, Conor O Halloran and Domnic Joyce. These players will provide a wealth of experience and enthusiasm to any team as defenders, midfielders and forwards, equally they will cause problems for the opposition and have the hunger and desire to bring home the trophy. 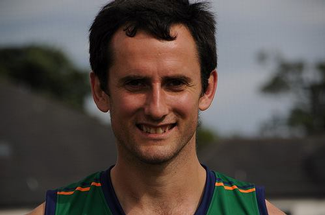 A special mention must also be made to Paul Junior Ryan who is Team Manager and making sure the competition runs smoothly is former Ireland captain and ARFLI hero Cian Quigley who is the President of our Association. If you are in Dublin during the 3rd and 10th of August be sure to drop by DCU and see the much fancied Danish Vikings team along with Great Britain, Croatia, Sweden and Germany do battle on the official sized oval. Watch out for Denmark who lost out to Ireland at home in Copenhagen during 2010 when they hosted the competition and were also runners up in Edinburgh in 2012 after Lions wonder Muiris Bartley kicked the winning score. It will prove to be a festival of football and wish the Irish Warriors all the best on behalf of the Leeside Lions as we will be supporting them all the way. Follow the link for more details on tickets and how you can help out during this tournament to make it a success. Warriors Abú!! Muiris Bartley is one of the most exciting players in the Irish League and at only 20 years of age has a huge amount of experience during International competitions. He has played on the World Team which toured Australia in 2011 and gave those writing reports plenty of headlines for all the right reasons. You will see him winning contested marks in the forward 50 along with drifting out the field to win bouncing ball which he runs onto and carries with great pace before shooting for a major to inspire his fellow teammates. Other teams must beware of his physicality and how he gives some of the hardest shepherds and tackles around along with being a very skilful and entertaining footballer. You will see him on the ball getting plenty of disposals and following it up with hard support leads. 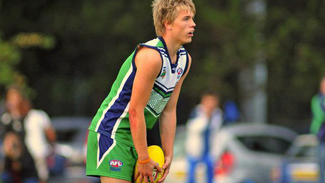 Why do you play Aussie rules football? I love a game thats fast physical a s spectacular Aussie rules has it all. What other sports do you play and how do they compare to Aussie rules? I like to get a good rest the day before maybe a brisk walk and a stretch. The day of the match i like to wake relatively early and get prepaired for battle and grab something wholesome to eat. How do you celebrate a big win? I like to celebrate with the whole team that night. Tell us something interesting about Aussie rules in your country? I think that because Gaelic Football is so similar to Aussie Rules we can easily convert a player from Gaelic to Aussie rules in a short amount of time – and for that player to be of very good quality in comparison to other new players from other countries. This is also a disadvantage though as GAA players first (and only loyalty) is to their Gaelic club and if there is any clash (with training or matches) the Gaelic club will win. What team are you looking forward to playing and why? Denmark they were unlucky against us in the euro cup so I’d like to see what they bring in this tournament. The Lions secured another convincing home win against the Demons during Round 8. Sitting bottom of the ladder the Demons pulled off the shock of the season in Round 7 with a win against the Swans kicking 14.2 so we were not going to rest on our laurels today. As a team we have been in good form with strong numbers came out of the blocks fast and again dominated the middle of the ground. Domnic Joyce who was stand in captain just keeps getting it right and links up defence and forwards with his intelligent play. The first quarter saw the Lions kick goals from nearly every attack and defence let nothing north of the half backline which was testament to there dogged man on man and hunger for the ball. We took our foot off the pedal in the second quarter due to some personnel changes and losing our structure and were equalled by the Demons on the scoreboard with 1.3 a piece which was not good enough. At half time some cool calculated words were met with an enthusiastic response from the next ball up and the Lions were back in the hunt kicking some fine scores. The Demons began to run out of legs after a fine effort and in the final quarter dropped men behind the ball in defence to limit the score but only found that they were now under siege in their own half with no release against the Lions structured play. In the end in what was one of the warmest days so far the Lions ran out comfortable winners and were very pleased to have passed the 100 point barrier kicking 20 goals along the way. The Demons were missing a few key position players but the Lions stayed with the game plan and issued a sit up and take notice to the rest of the league that we mean business this year. Fair play to all those who took photographs and supported us today along with Ian O Sullivan who did a great job as umpire. Elsewhere in the League the Redbacks had a 14 point win against the Swans moving top of the Ladder on points difference leaving the Lions in second position. The Magpies had a convincing win against the Giants which sees them move into third place with the Swans falling to fourth. Make sure to drop by the Woolshed Baa and Grill in town for some good food and drinks. You will also get to meet some of the Lions in the Woolshed and are only too happy to stand in for a few photographs and sign autographs. The ARFLI season is starting to take shape as the Leeside Lions cemented their place in 2nd position on the ladder with a fantastic win over the North Leinster Giants in Mullingar over the weekend. In what was an extremely tough encounter the Lions ran out winners on a scoreline of 29 - 81 thus enhancing our chances of a home final. The Lions are back on action again next weekend as we face a resurgent Dublin Demons team who recorded a marvellous win over the South Dublin Swans in Rd 7. The game will take place Saturday July 20th at Gleann na laoi with a 1.30pm start time. 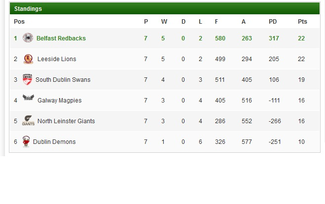 Congratulation on the Round 7 victory Lions, now lets carry this momentum into the remaining fixtures of the season. The Irish Warriors management team today named the Ireland squad for the upcoming European championships which a due to be held in Dublin in August. We are delighted to hear that there were none other than 7 of our own Lions named which is fantastic news. Those selected are Conor O’Halloran, Eoin O’Sullivan, Dominic Joyce, Muiris Bartley, Brian Roche, Vince Manning and Brian O’Connell. Congratulations guys!! It was a sun drenched day as the Leeside Lions took on the South Dublin Swans at Gleann Na Laoi last Saturday evening in Cork. Both teams were fully aware of the importance of this fixture as the Swans who topped the ladder were looking to increase their lead at the top while a win for the Lions would bring them level on points with the current pace setters. With this in mind you would have expected an explosive start from the Lions as umpire for the day John Hayes balled up for the first quarter. But it was quite the opposite as the Swans flew out of the blocks kicking the opening goal of the game. It was a trend that was to follow for this quarter as the Lions struggled to get scores on the board while the Swans capitalised on their scoring opportunities to full effect. The Lions midfield were working hard with Ian O’Sullivan, Cian Quigley and John O’Keeffe seeing plenty of the footy while the forward line spear headed by Vincent Manning and Danny O’Brien were getting their chances to score they were somewhat wasteful with uncharacteristic behinds being registered when a goal seemed more likely. It was Manning though who kicked the Lions first major of the day when he kicked a beauty through the middle of the goalposts after receiving a nice handball on the run from Muiris Bartley. In what was a tough first quarter the Swans led at quarter time 4.0 (24) to the Lions 1.3(9). After a solid breakdown and words of encouragement from manager Paul “Junior” Ryan the Lions came out for the second quarter with more vigour in their approach. The midfield in true Lions fashion began to dominate by beating the Swans in the majority of key match ups. Cian Quigley was instrumental in this by using all his experience in taking some key marks and disposing the footy with ruthless efficiency. The introduction of Brian Roche in the second quarter also cemented the Lions dominance as the Swans had no answer to his superior ball carrying ability as he broke the line well to set up some good scoring chances for the inside forward line. With this the scoreboard began to reflect the passage of play as Muiris Bartley and Ian O’Sullivan edged the Lions in front. In defence Connor O’Halloran and Chris O’Brien were marshalling their men extremely well while the half-back line of U.C.C.’s Richard McSweeney and John Coman were sweeping their lines well picking up clean possessions and frustrating their opponents in the process by keeping them to one behind for the quarter. In what was a positive quarter of football the Lions will have one cause for concern though as their behind count continued to rise which is something that will surely be of concern to coach Eoin O’Sullivan and manager Paul Ryan. As time was called to end the 2nd quarter the Lions were in front on a score line of 3.11(29) to the Swans 4.1(25). With adequate refreshments on board the Lions entered the championship quarter hoping to put the Swans out of sight. And they started well with some good work from John O’Keeffe which led to the ball being picked up by ruckman Dominic Joyce who chipped a kick into Vincent Manning where he marked and slotted through a set shot from about 30m out. Newcomer and first gamer Dan Cahill was next to get his name on the scoreboard as a long bomb from Ian O’Sullivan bounced over the Swans full back and there was Cahill to run onto it and slot his first ever major. Cahill proved to be a nuisance all day and made 4/5 contested marks in what was a very respectable debut performance. There were other new faces back in the fray today as Dave Hammond made a welcome return along with Cathal Buckley and first gamers Fergal Buckley and Ronan Desmond who contributed admirably on their first run out. Muiris Bartley was also making his first appearance of the year and ran his guts out (literally) as he tagged on another nicely taken goal in this quarter. The lions were dominant again throughout this quarter with the Swans limited to only one major with the scores reading Leeside Lions 6.13 (49) South Dublin Swans 5.1 (31) at the end of the 3rd quarter. Captain Ian O’Sullivan spoke to the group before they entered the final exchange as he expressed his expectations for seeing out the game. His words were well received as the Lions goal kicking improved and what were behinds in the first 3 quarters now turned to goals. John O’Keeffe who has really lifted his game to another level this year got the ball rolling with a fantastic goal from the boundary. Danny O’Brien gathered the ball from the deck and laid it off to the on- running O’Keeffe who unleashed a great effort from 40meters and watched it bounce through for what was probably the goal of the day. Vincent Manning (2) and Muiris Bartley(2) continued the onslaught as the Swans who battled hard were beginning to tire under the sustained pressure. Fergal Lalor, Jason Hingston and Diarmuid de Barra had good games in the forward line and contributed well in what proved to be a real team effort on the day. Although it was not a vintage Lions performance they can’t but be pleased with the commitment and determination shown on the day. The final result was the Leeside Lions 11.16 (82) South Dublin Swans 7.2(44). Muiris Bartley (4), Vincent Manning (4), John O’Keeffe, Ian O’Sullivan and Dan Cahill.